Set out your Sun Oven to preheat. Cream together shortening, sugar and egg. Add molasses and mix well. Add dry ingredients which have been stirred together well. Roll into balls and then roll in sugar. Place on greased cookie sheet. 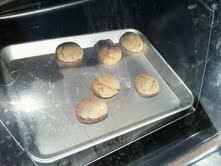 Bake in your Sun Oven 8-10 minutes at 350. Enjoy! Great Holiday Recipe for a solar oven! These look and sound great. 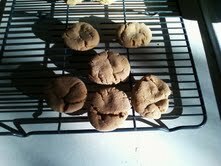 It makes me want to mix up my solar cooker ginger bread cookie recipe that I have not made for more than a year. Maybe I'll do it for Thanksgiving.